Breakthrough Relationship Challenges and Fall in Love Again! Experience Convenient Coaching Now from the Comfort of Home! Paul is great at what he does. His coaching applies to marriages and every kind of relationship. I use his effective hands-on tools daily with my husband, daughter, clients and friends. I've learned how to listen better to them and know myself to be heard by them. It's all about adopting good communication practices, speaking with one another with mutual honor and respect. My husband and I have come to understand that when hurtful conversations come up we "take a time out," to set a time for picking up those conversations only after we have calmed down. In less than an month, your marriage will be well on on the road to healing and rebuilding. I strongly recommend Paul Zohav as your coach." Paul is heaven sent. With every session he would get to the root of it and we would ALWAYS walkout in awe and amazement. I used to joke with my husband that I wish I were Paul or that half the world were Paul. He helped so much in ways I didn't think were possible. I will forever go to Paul and recommend him always! !Thanks Paul...you are a huge blessing and grateful God put you in our path. Paul is an excellent choice for premarital coaching even if you are happily engaged, he will teach you to love your partner and your "us" relationship on a whole new level. His services are well worth the small cost, perfect marriage gift idea instead of that new kitchen gizmo! Thanks Paul! My husband and I didn't have the best communication when it came to solving problems. Paul was able to give us the tools we needed to workout our issues and it became a two way conversation! He also gave us strategies to thank each other for the little things to help build our relationship. We can't thank Paul enough for all his help! Love is patient, love is kind and love it a lot of work. Through his patience and insight, Paul Zohav helped us literally work through a crisis in our relationship. He gave us the tools to address issues that we had been dealing with over and over before, but Paul provided a more constructive framework for us to address them. We both appreciate his faith-inspired view of the world, and his focus on acknowledgement in human relationships. He encourages mutual respect in addressing differences - and we will use some of his techniques in our life journey together in the future. We would recommend him to other couples and families who are dealing with life's challenges. If you have trouble communicating with your husband, wife, domestic partner or significant other, and don't have time for "therapy", I highly recommend Paul Zohav. His unique, loving yet rigorous coaching style has succeeded where counselors haven't in my relationship. Paul Z has a unique approach to relationship coaching that I found helpful and effective. I gained new ``tools`` for communication that I have been able to translate into better relationships with my partner, children, friends, coworkers and clients. By practicing his skills, I went from feeling often unsure and unheard to being empowered and in alignment with who I am. This work has been invaluable for me, I would highly recommend it for everyone. Have you recently moved in together? Or are about to do so? Have your children moved out? Is now the time to review and renew your marriage for your next 20 years together? 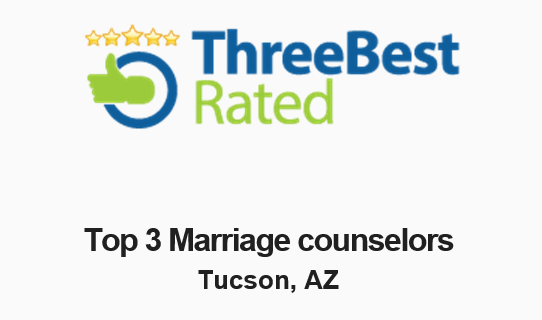 To experience new and effective ways to communicate with your partner turn to Marriage and Communication Coaching in Tucson, AZ. You and your partner will create a relationship that grows to last a lifetime. Cost effective, short-term and convenient. Call now 520-297-3085 to schedule your appointment. With mutual honor and respect. Whether you are having trouble with your partner, teen, neighbor, boss or coworker. You won't regret turning to Marriage and Communication coaching. Enjoy a marriage that will grow to last a lifetime. Contact us and let us know what you are looking for. We promise to respond within 24-48 hours. Get the tools you need to build a solid foundation for you and your future - call your coach now. Get the tools you need to build a solid foundation of happiness with satisfaction - call your coach now. Learn the skills, insights and best practices to enjoy relationships built upon mutual honor and respect, relationships that grow to last a lifetime.